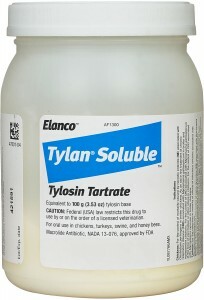 Chickens: As an aid in the treatment of chronic respiratory disease (CRD)caused by Mycoplasma gallisepticum sensitive to tylosin in broiler and replacement chickens. 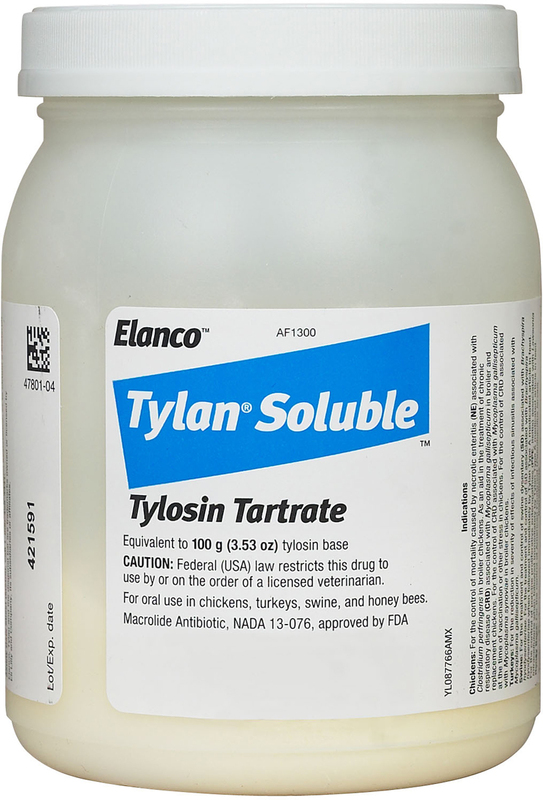 For the controi of chronic respiratory disease (CRD)caused by Mycoplasma gallisepticum sensitive to tylosin at time of vaccination or other stress in chickens. For the control of chronic respiratory disease (CRD) caused by Mycoplasma synoviae sensitive totylosin in broiler chickens. Turkeys: For maintaining weight gains and feed efficiency in the presence of infectious sinusitis caused by Mycoplasma gallisepticum sensitive to tylosin. Swine: For the treatment and control of swine dysentery caused by Brachyspira hyodysenteriae or other pathogens sensitive to tylosin.